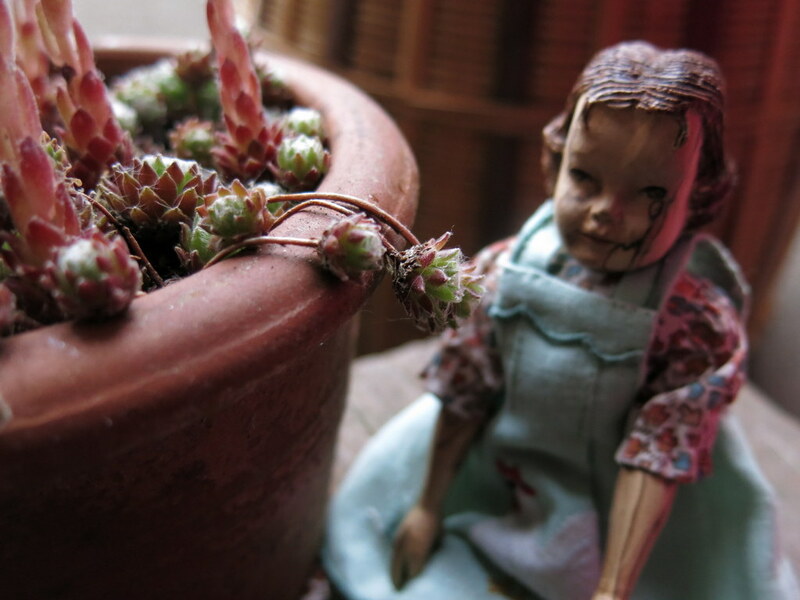 Sometimes called the Cobweb House Leek, Eugenia knows it by it’s other name, Hens-and-chicks. Its flowers are on tall stalks, and they are very Pink! These “Hens” show why this succulent has “Cobweb” in its name, but we are not too sure about the House Leek part. 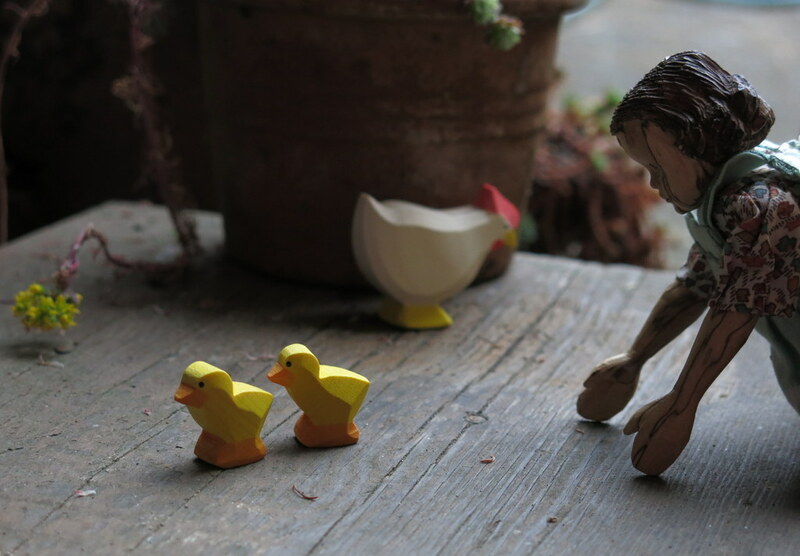 The plant’s chicks are escaping…. …oops – so are the real ones! These “Hens and Chicks” are knitted to my memories of going to my Grandmother’s house. She had two pedestal cement planters with hens and chick plants along her walkway leading to her home. They were always there to greet her guests. I think of her whenever I see them to this day…They seem an old fashioned plant…like the name, Grandmother or Grandmom which for some reason seems to have become obsolete. I know of no one who calls themselves by that name anymore. Thank You sweet Eugenia for sharing this plant with us. The Hens-and-chicks name goes with a lot of different succulents – this is like the one I remember from my grandma’s house. She was a great gardener! She grew plants with names like “Good King Henry”, “Boneset” and “Lamb’s Ears”! Her green thumb was only partially passed down to me, but at least I can grow Hens-and-chicks!! Arachnoideum looks a lot like arachnids to me. Perhaps there is something to the cobwebs????? I believe the name must be related to the cobwebby appearance! 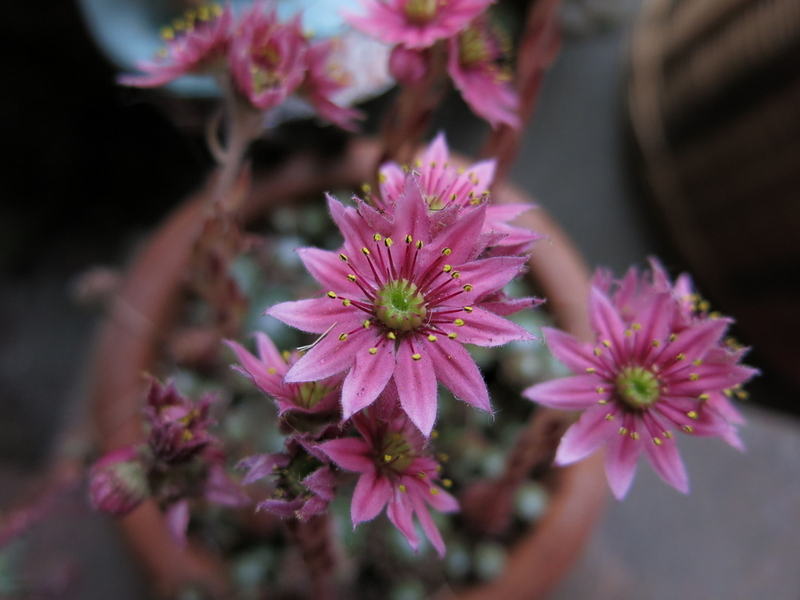 Wow… our hens and chicks have never offered up blossoms like that! 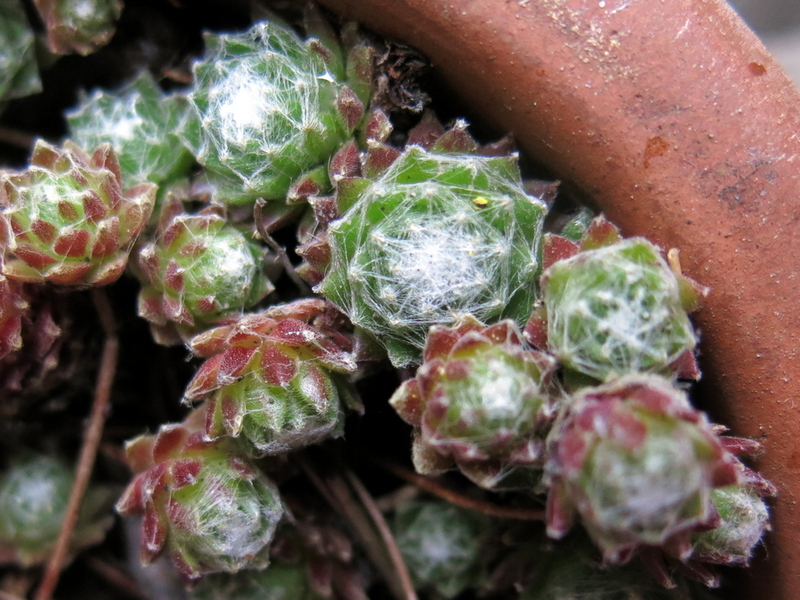 My Hens-and-chicks seem to do best if I completely ignore them! One morning we looked out the window and they were doing this! These are amazing succulents! What a fun narrative. We think they are amazing too! Such fun to watch the plants do their thing! Nor our Hens and Chicks…Beautiful blossoms! Are you starting new pots? 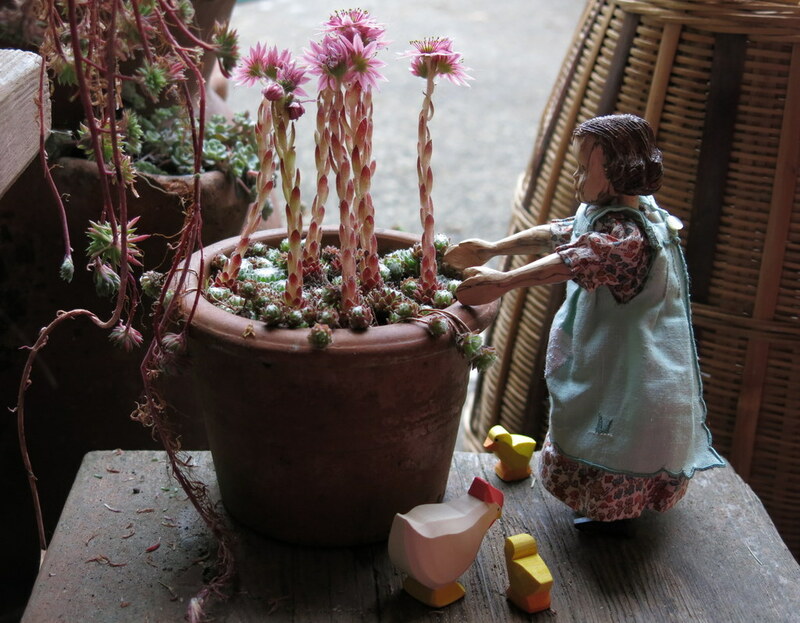 I suppose we could start new pots…good idea – I’ll get Eugenia started on it if she isn’t too busy chasing wee fluffy chicks!! Food for thought indeed, but not chicken! Of course here at the farm we love all things hen and chicks…Marie Claire applauds your green thumb and she thinks Eugenia is a fine Poultry wrangler. Marie Claire is Eugenia’s favourite Country Hitty – and she hopes she will share her Poultry-raising tips some day!